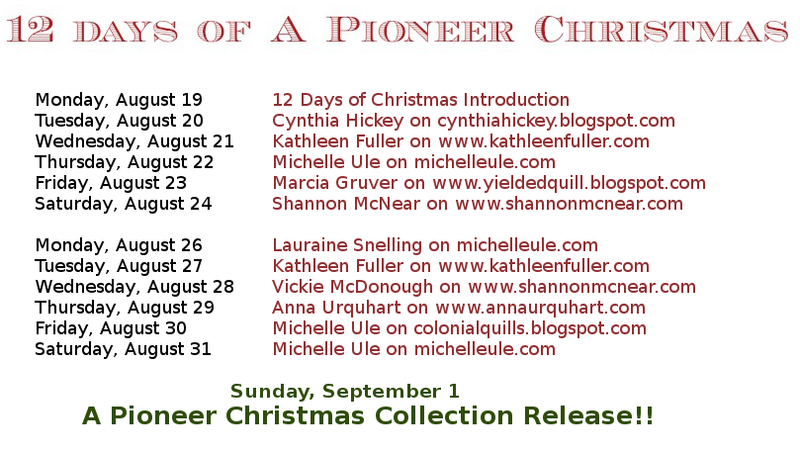 In celebration of the release of A Pioneer Christmas, I'm hosting talented author, Michelle Ule today. I will be giving away a copy of the book signed by all nine authors!!! Leave a comment below for a chance to win. 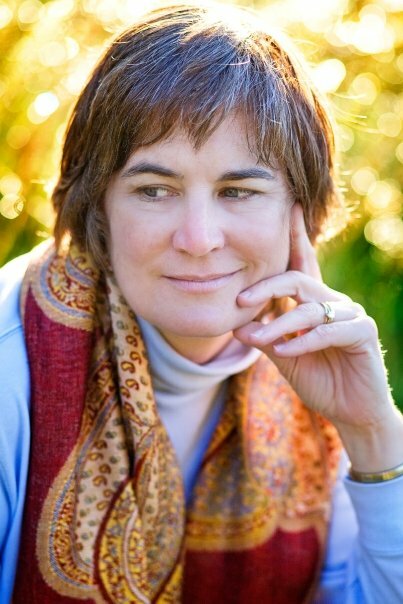 Michelle is the best-selling author of several novels and novellas, including Bridging Two Hearts and “The Dogtrot Christmas” from the NYTimes best-selling A Log Cabin Christmas Collection. 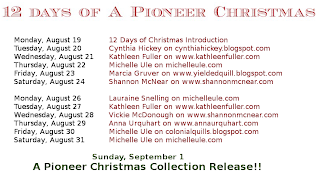 Here, she talks about her upcoming novella “A Gold Rush Christmas” from A Pioneer Christmas, releasing September 1, 2013. For more information about Michelle and her books, visit her website: www.michelleule.com. What made you decide to write about your period in time? When I heard the collection's title, I tried to think of a time period that would appeal to readers. 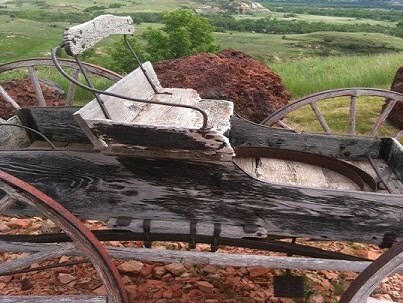 I figured many writers would write about the Oregon Trail. I remembered, though, how fascinated I was by the Alaskan Gold Rush stories when my family traveled to Alaska. 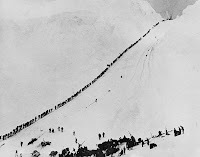 In particular, I thought of that horrific photo of the line of men climbing over Chilkoot Pass. I imagined a story about a family caught in that line, stepping out on December 25 to celebrate Christmas. "The Gold Rush Christmas" didn't quite turn out that way! My husband is a retired naval officer, and we've celebrated Christmas in a number of different cultures. We liked to use aspects of the local customs when we lived in different spots--Christmas in Hawaii, for example, included a crèche made of a coconut shell. While composing The Gold Rush Christmas, I tried to find an element of Alaskan culture people would recognize, but which could tell the Christmas story. I found a fantastic one! "The Gold Rush Christmas" includes a Christmas totem pole. I explored the Internet for information, and discovered a missionary in Alaska had actually made one! We corresponded and he asked me to used his description because he'd spent years ensuring it was culturally accurate. I wanted to write about the gold rush and I liked the idea of a pair of boy-girl twins and the boy next door sailing to Alaska and accidentally ending up on a ship filled with gold seekers. I had to come up with a reason why they'd be sailing, and turned it into a quest for a missing missionary father. Yes, my family sailed on the Alaskan ferry to Skagway out of Washington 22 years ago. We even slept on deck in our sleeping bags! I pulled on our experiences and the stories we enjoyed while traveling there. I've always loved the story of Nehemiah and the famous line "I am doing a good work and I cannot come down." I liked the idea of someone going off on an adventure and sacrificing for their family, but being determined to stay in that work even when things became difficult. In writing the story, I learned much about the fortitude of a young man wanting to prove himself, even when he discovered his own prejudices. I love how even a seminary graduate needed to be reminded, gently, that he sometimes needed to be discomforted to do the job God called him to do. I love the spiritual growth going on in "The Gold Rush Christmas." Fascinating interview Marcia and Michelle, thanks. I LOVE reading the story behind the story!! Interesting seeing that pic of all those miners etc climbing Chilkroot during the Gold Rush. Don't know how I missed this, but just checking in for the first day. The book sounds delightful! Will be looking back at the days I missed and checking in for the upcoming posts. Thanks! This sounds wonderful. My great grandmother was born in 1880 and I always loved to hear her stories from childhood. I kept her awake many nights listening to her stories - lying on a feather bed. Sweet memories. I'd love to read the book. Hi, Kimberly. Thanks so much for joining us. Best of luck on the drawing! And just think, Jan. . .there are eight more great stories in A Pioneer Christmas. These books will make excellent Christmas presents or stocking stuffers. Hi, Terrie! Gosh, your comment made me feel nostalgic. I loved hearing my mom, aunts, and granny telling those great old stories. Thanks for checking in, and good luck on winning a copy of the book. I love these Novellas and this one has stories by some great author. Thank you for the chance to win it. What a lovely interview! The book promises to me unforgettable and I cannot wait to read it. I truly enjoy reading the history behind stories. Thank you! Hi, Wendy. You're right, I'm in amazing company in this collection, and I'm thrilled to be numbered in their midst. You're entered once in the contest now. Be sure and check back every day. Each day's comment counts as a new entry. Only one per day though. Good luck! Hi, Julianna! I know you'll enjoy this great collection of stories. Check back tomorrow for the next interview in the series. Good luck in the contest! I really like totem poles. On an Alaskan cruise in Sitka, I took pictures of all the totem poles in the national park there. I also got many totem pictures in Victoria, CANADA. Would love to win the Christmas book-one of my favorite seasons. 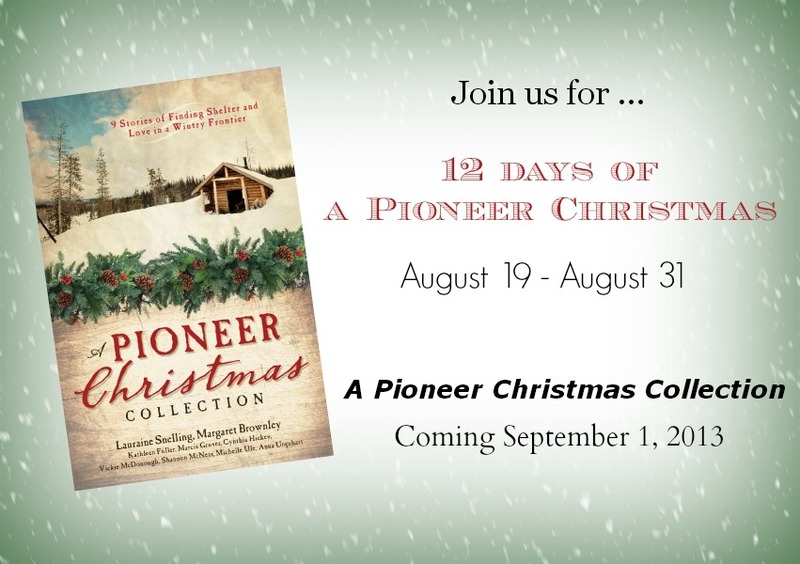 I'm really looking forward to reading the Pioneer Christmas Collection. Very interesting Michelle. I have relatives now living in Alaska. I would love to read your story in this book to continue the story. Thanks Marcia for doing this.